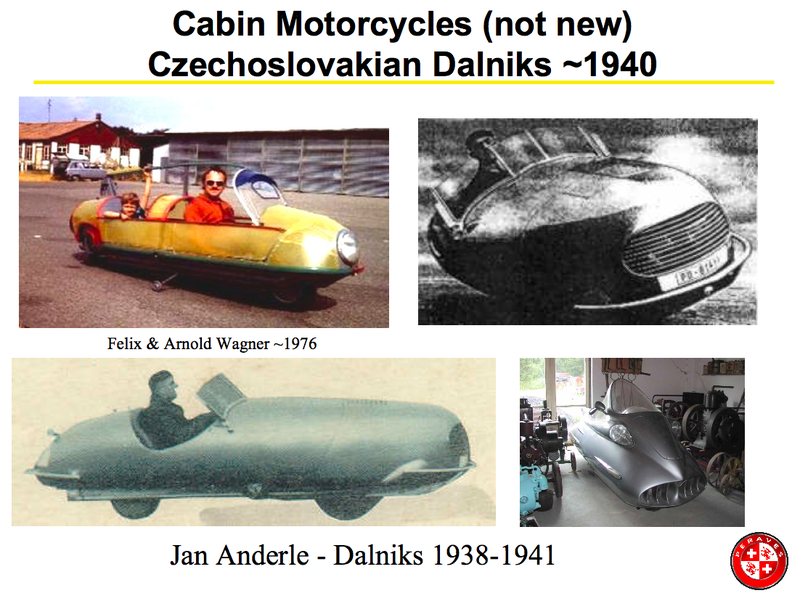 “The term “dalnik” is unknown to most people, but they are a fascinating group of cabin motorcycles that have been constructed for the past 75 years, mostly in eastern Europe. (see the full Czech “Bohemiamobil” page here) Their design brief is a sensible one: a hybrid of motorcycle and automobile, with the virtues of both (at least in theory). The “golden age” of dalniks was during the 1950s and ’60s, and the former Czechoslovakia was its center. 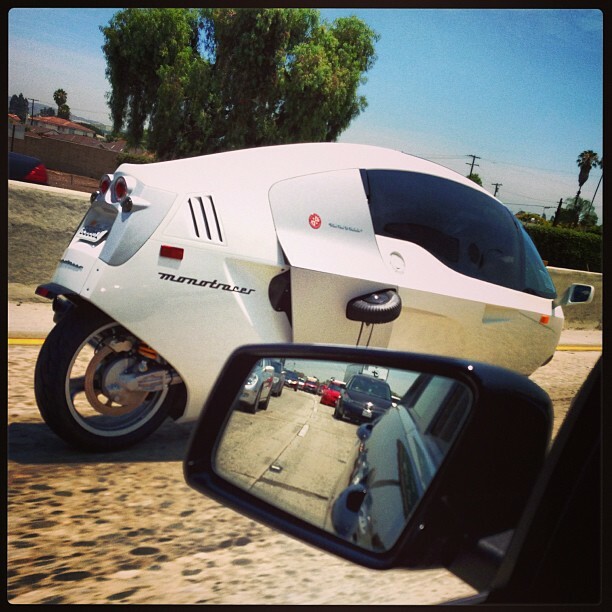 These vehicles almost always seated two in tandem, with a motorcycle engine mounted behind the passenger, and a streamlined body around them. Some had openable flaps for the feet of the driver, when at rest, others used outrigger wheels to prevent falling over when stopped. A very few experimented with gyroscopic stabilizers. You can read a little more history about the Czech Bohemiamobile here. Click here for some history of Jan Anderlé and his Dálníks (English Google Translation – http://bit.ly/WHHxU1). And Hedonia also has a good page covering the Dalniks. In the 1970s, a Swiss airline pilot and aerobatic aircraft designer Arnold Wagner wanted a more efficient way to commute to work (consume less gasoline) while also staying warm and protected during the colder and wetter months of the year. With his passion for motorcycling, he began researching the Dalniks (see above photo from 1976 of Arnold Wagner and son Felix in a Dalnik in Czechoslovakia). In 1974 Arnold founded Peraves, which is latin and means “for the birds”, because there was another Swiss company at the time called Contraves (an anti-aircraft artillery manufacturer) which means “against the birds”. 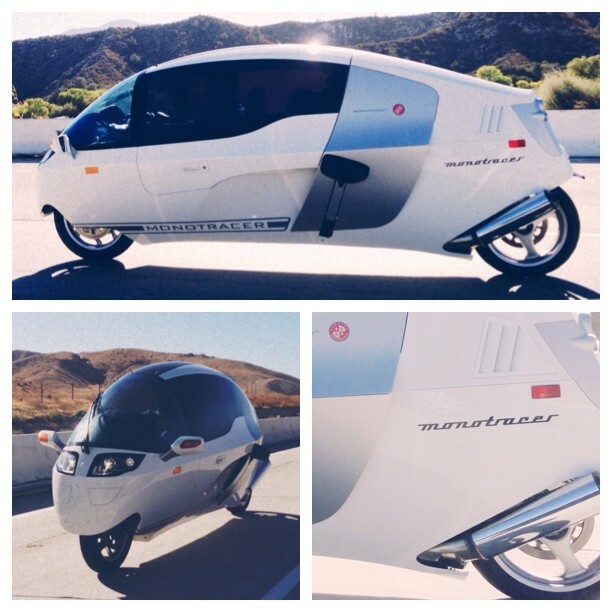 With Peraves Arnold brought his love of flight to ground level while innovating the next generation cabin motorcycle. He had the privilege and fortune of soaking up the decades of Dalnik expertise and knowledge from Jan Anderlé during Jan’s last couple of years before passing away in 1982. 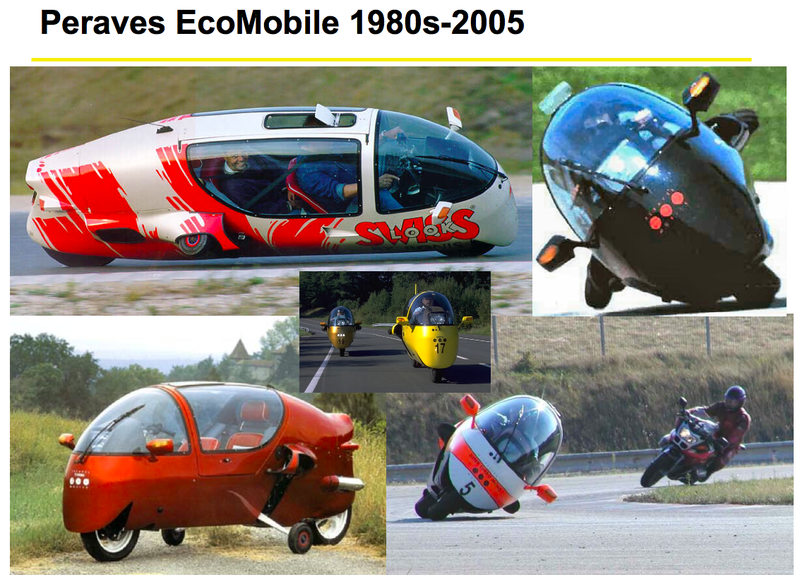 He transferred that knowledge, and invented a modern fully enclosed high speed and high performance cabin motorcycle he called the EcoMobile (or Ecology Mobile). Here is another rare and special 10 minute video about the first Ecomobile World Cup, in 1991, presented and narrated by longtime cabin motorcycle and feet forward fan Paul Blezard who had first learnt to ride an Ecomobile for a BBC TV Top Gear feature that he wrote and presented back in 1988. Paul was the first Briton and only the ninth person in the world to receive the JAV (Jan Anderlé Vereinigung) certificate established by Arnold Wagner to ensure that people who wanted to ride cabin motorcycles on the public highway were competent to do so. Arnold himself was only No.3 after Jan Anderlé and fellow Czech Dalnik pioneer Karel Horak. Lastly, yet another historic and well edited video gem, German coverage of Alpine riding in the Italian Dolomites with incredibly fast Peraves EcoMobiles from Sept 26-29, 1991 featuring an interview with a youthful Paul Blezard! 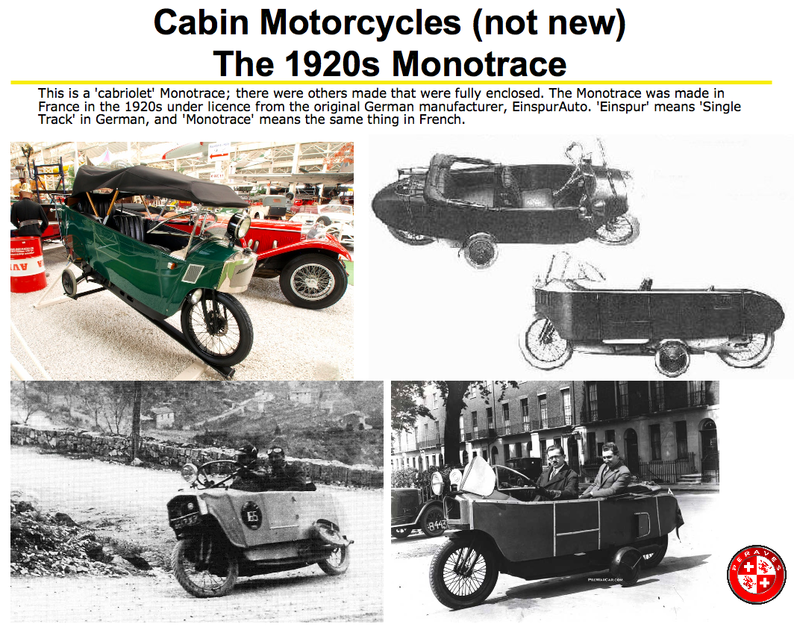 Notice how even back then the general public is astonished and excited at seeing their first cabin motorcycle be it the early EcoMobiles or MonoTracers of today. 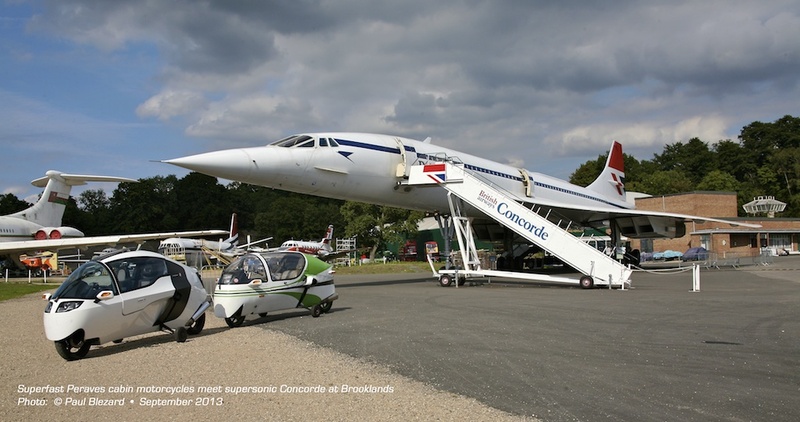 This entry was posted in Peraves and tagged aerodynamic, Alps, Arnold Wagner, BBC, Beyond 2000, Cabin Motorcycle, Concorde, Dalnik, Dolomites, EcoMobile, efficient, enclosed motorcycle, Invention, Jan Anderle, Jeremy Clarkson, MonoTracer, Most Circuit Czechoslovakia, Paul Blezard, streamlined, streamliner. Bookmark the permalink.